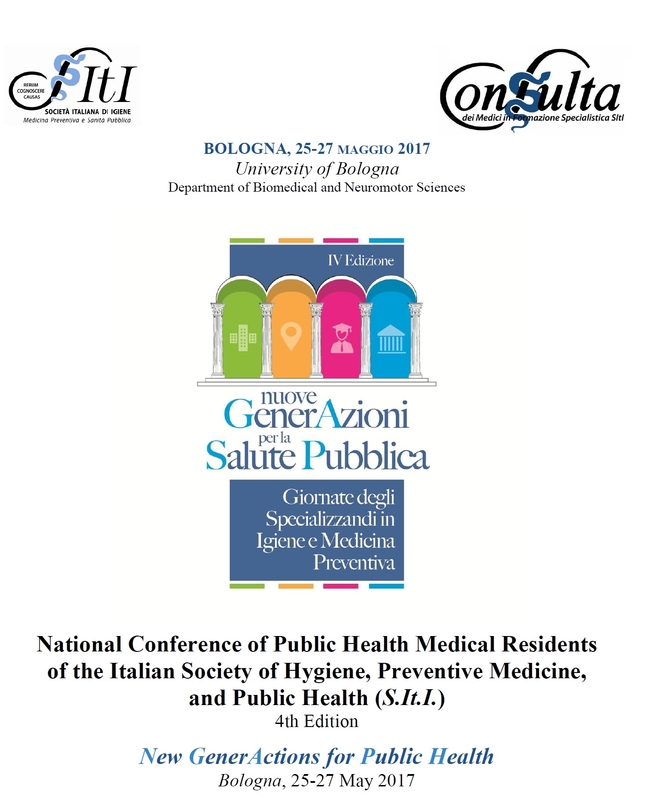 This Edition of the Italian National Conference of the Italian MRPHs (Giornate degli Specializzandi in Igiene e Medicina Preventiva S.It.I.) – the fourth – has been conceived with a new format. The aim of the conference is to represent a constructive opportunity for Public Health Medical Residents to improve their education and knowledge through oral and poster sessions, as well as through interactive discussions with Public Health experts, workshops, and opportunities dedicated to developing relationships and cooperation among Public Health Residents across Europe, thanks to the presence of members of the European Network of Medical Residents in Public Health (EuroNet MRPHs) and European Public Health Association (EUPHAnxt Project). The topics are linked by a central theme designed to acheive a highly valuable exchange of scientific knowledge in the MRPH community.